At B&K Timber we have been producing bespoke wooden gates for over 30 years. In this time, we have built a strong reputation on manufacturing high quality, durable and stylish bespoke wooden gates to suit all homes and budgets. All of our gates are handcrafted by our team of passionate and highly skilled joiners who endeavour to provide you with beautiful driveway and garden gates which guarantee to compliment your home whilst also providing you with an extra sense of security and privacy. So, if you're looking for bespoke wooden gates, we can help! Here at B&K Timber, we understand that every person has a different style so why should your home exterior be any different? For over 30 years, we have strived to lovingly craft bespoke garden and driveway gates to suit a range of tastes and budgets. Today, we pride ourselves on providing bespoke wooden gates which are available in a range of designs to suit the style of your property. 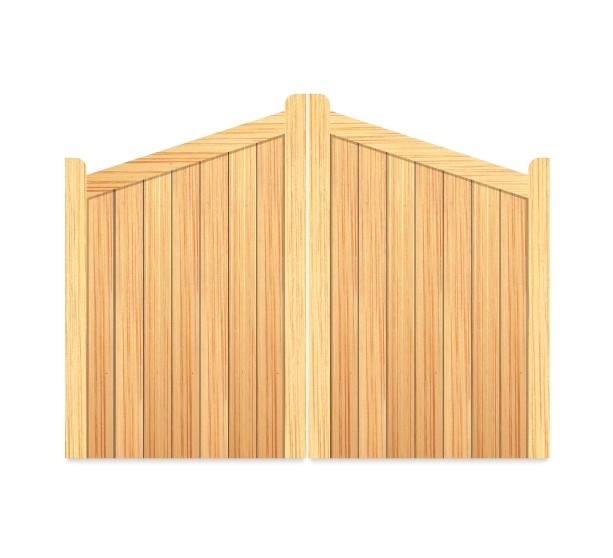 Our range of quality bespoke wooden gates start from simple, budget friendly pieces such as our Garden Shaped Top Economy Gate and our classic Driveway Sherwood Gate, to more stylish gates such as our beautiful Garden Broughton Gate and our stunning Driveway Thurlwood Gate which is bound to impress visitors and passersby! All of our bespoke wooden gates are also treated with a spirit based preservative to ensure longetivity and protection against all weather conditions, we offer a choice of three shades; red cedar, brown or clear. For stylish and long-lasting gates, choose B&K Timber! If you would like to find out more about our bespoke wooden gates, please do not hesitate to get in touch with a member of our expert team. You can also see some examples of our wooden gates by taking a look at our gallery.